Not sure if you and your family would like camping? 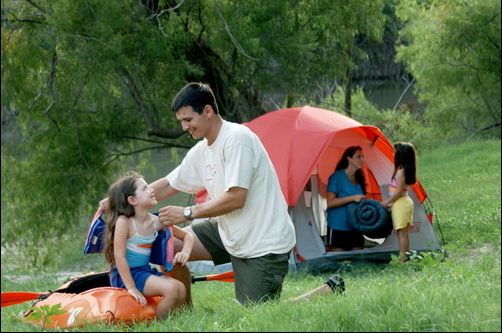 Texas Parks and Wildlife's Outdoor Family Program is designed to let you experience a night of camping with help from outdoor specialists and camping equipment furnished by program sponsors. Check out the details and schedule for Brazos Bend hosting these outdoor opportunity on the weekends of March 11, 2017, May 13, 2017. Come out to the premier location for wildlife watching in Houston. Under the supervision of a park ranger you'll learn a bit about alligators, the night sky, and the other natural wonders at Brazos Bend. To top it all off, we'll provide all of the camping equipment you'll need for this family friendly weekend!